Leasing a vehicle is an excellent option when you’re looking to get a brand-new ride without breaking the bank. You only have to cover the cost of depreciation instead of the full price. This gives you lower monthly payments and a lower initial down payment. If you’re looking to push your savings any further, the Mitsubishi Mirage just topped the industry as the most affordable car to lease – which means you can get all the modern amenities you want for as low as $219 a month*. The study that discovered this information was conducted by Growella. It is a destination website that analyzes all things related to lifestyle, career, and money and offers advice. The “100 Most Affordable Cars to Lease” study, as it was termed, found that the Mirage had an average auto insurance cost of $35 and monthly gas costs as low as $79**. The overall affordability of the Mitsubishi Mirage can also be attributed to its low starting MSRP, but its great fuel economy is also factored in. Other benefits to leasing the Mitsubishi Mirage – besides it being the most affordable car on the market – include tech features. These include its standard Apple CarPlay and Android Auto compatibility, as well as a Rockford-Fosgate sound system. Swing by Don Robinson Mitsubishi to check it out today. The IHS Model Loyalty Award for the Non-Luxury Traditional Sub-Compact segment was given to the 2015 Mitsubishi Mirage for the second year in a row. IHS Automotive makes a list each year the vehicles that have the highest model loyalty, which is determined by number of households that purchase or lease a second vehicle of the same model. 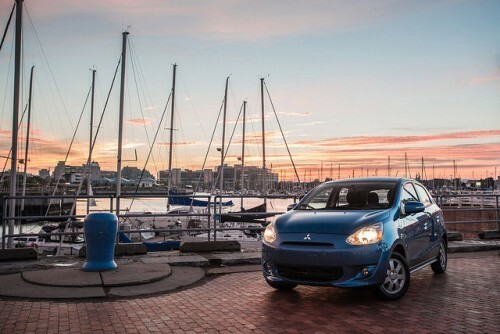 Once again, the Mitsubishi Mirage has been one vehicle that brings its customers back for more. The award highlights the affordability and desirable features of the Mirage, which has been called the most affordable car to drive on the market thanks to its combination of low price, high fuel economy, and exceptional powertrain warranty. As Don Swearingen, executive vice president of Mitsubishi Motors North America, said, the Mirage is “one of the true hidden gems in the automotive industry.” We would have to agree here at Don Robinson Mitsubishi! The Mirage will be updated in 2017 to include more features like Apple CarPlay and Android Auto and will remain one of the most affordable cars on the market. The announcement of the new Mirage came soon after reports of a 30% increase in sales from 2014 to 2015. We look forward to seeing what else the Mirage will bring to the table in future generations! As smartphones become increasingly important to our daily lives, choosing a vehicle sometimes means having to switch from your preferred platform. Other times it means passing on a vehicle that you really love. With the new 2017 Mitsubishi Mirage changes, you won’t have to do either! As if the car wasn’t already versatile enough, it was just announced that the 2017 Mitsubishi Mirage will feature both Apple CarPlay and Google Android Auto. These features and much more will make the affordable small sedan more luxurious than ever before! Both Apple CarPlay and Google Android Auto offer fantastic capability. Android Auto features a well-organized interface that allows for intuitive interaction. Apple CarPlay gives iPhone users that same super easy-to-use display they are used to. The changes on the 2017 Mitsubishi Mirage go way beyond the addition of Apple CarPlay. In particular, the Mirage is better looking than ever with the introduction of a new hood, grille and lighting system. There’s also an option for a Rockford-Fosgate audio system and no matter whether you’re an Apple or an Android person, the music coming through those speakers is going to sound amazing! As we wait for the 2017 Mitsubishi Mirage, stop by Don Robinson Mitsubishi today to see some of our other 2016 Mitsubishi models! 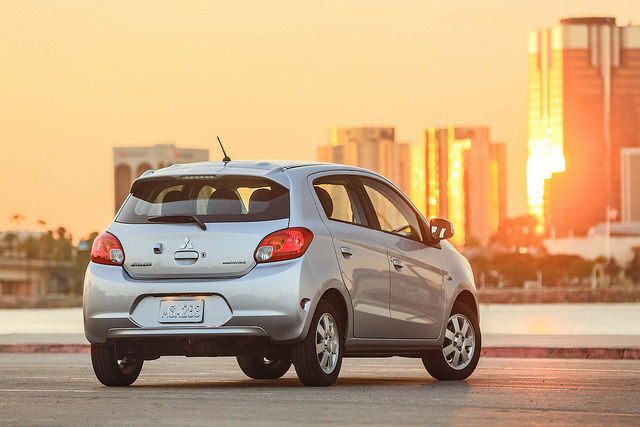 The Mitsubishi Mirage has been an overwhelming success in the United States since its 2014 model, and the follow-up 2015 Mirage continued that trend. However, fans may have noticed that Mitsubishi seemed to be holding off on a 2016 model, making many believe that the Japanese carmaker has halted Mirage production—but think again. 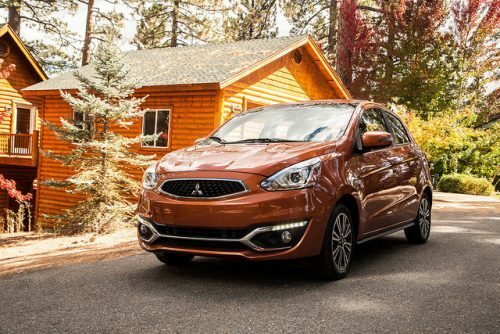 It turns out that Mitsubishi has decided to skip the 2016 Mirage, because they are skipping straight to the 2017 model year. And you can bet that the next Mirage to hit dealerships will be the best yet. Little information is known about the 2017 Mitsubishi Mirage, besides that it’s slated to hit dealerships early next spring. Now that Mitsubishi has made their big announcement in skipping the 2016 model, perhaps more information is on the way. We would have to guess that the 2017 Mirage will have some pretty big cosmetic changes, and like its predecessor – the 2015 Mirage – it will probably be one of the most fuel-efficient, non-hybrid, and non-electric vehicles on the market. We at Don Robinson Mitsubishi can’t wait to see what improvements will be made on this already great vehicle! 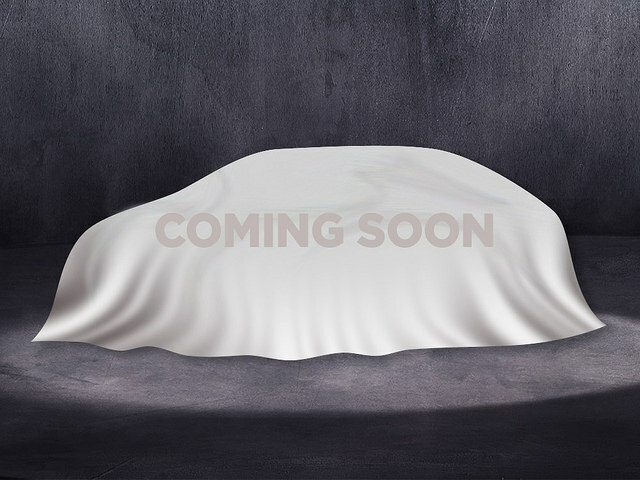 Share with us your speculations about the upcoming 2017 model in the comments below!